Featuring work by Maria Thereza Alves, Marjorie Beaucage, Deanna Bowen, Dana Claxton, Brenda Draney, John Hampton, Jamelie Hassan, Mike MacDonald, Nadia Myre, Krista Belle Stewart and Maika’i Tubbs. The term “carry forward” suggests passing or transferring something on to the next generation, yet also refers to taking account of gains and loss. 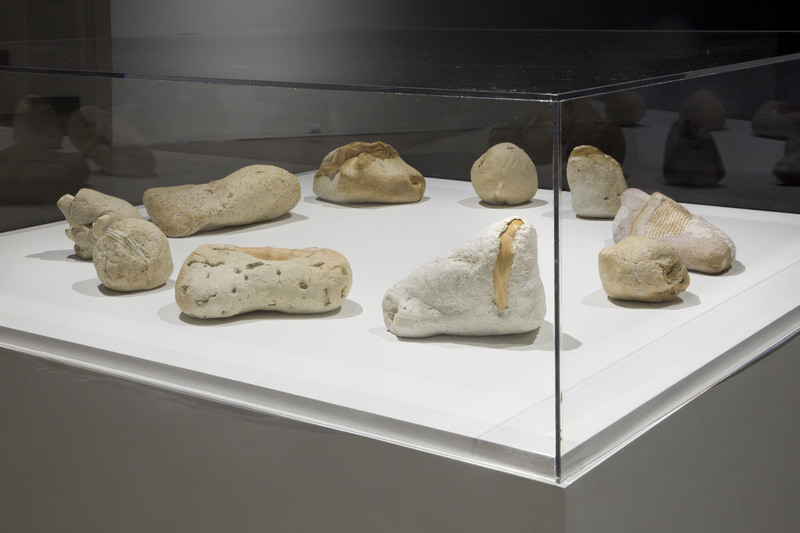 As a curator and artist, I have approached Carry Forward as a way to think about value outside of the paradigm of things, and to consider how different forms of value, beyond capital or monetary, circulate among past and future generations. Some values can be traced through records and paperwork, yet others are elusive, sustained in fragments, memories, stories, knowledge, and place. Lived experience, carries forward. 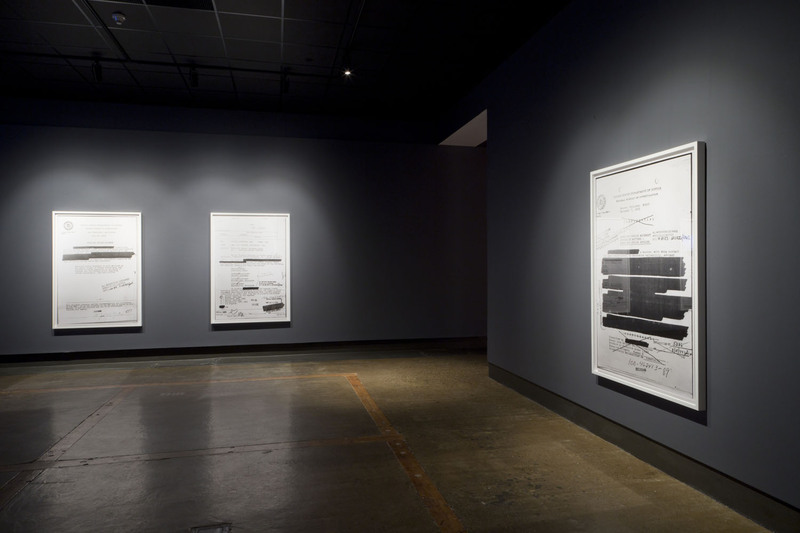 This exhibition brings together artworks that engage with, question, and re-form the authority and authenticity of documents and documentation. 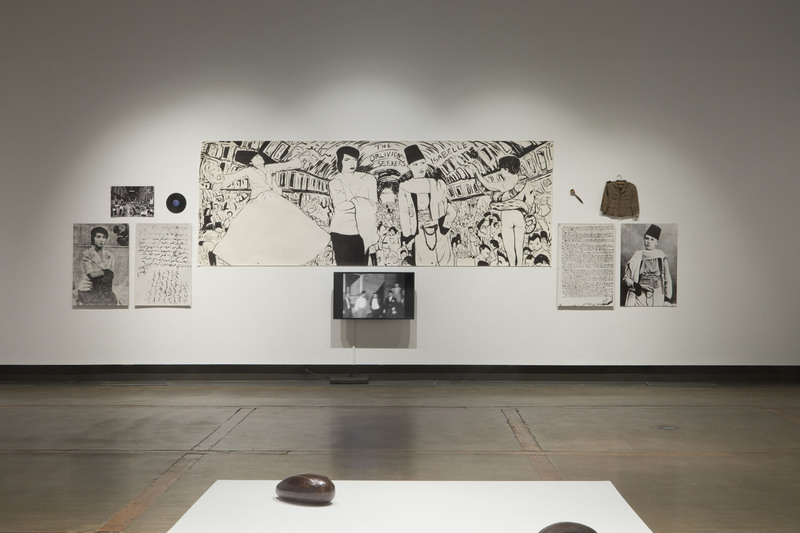 Through painting, documentary, installation, video, and photography, artists examine historical texts, photographs or imagery, and lend emphasis to absence, omission, or the redaction of detail. 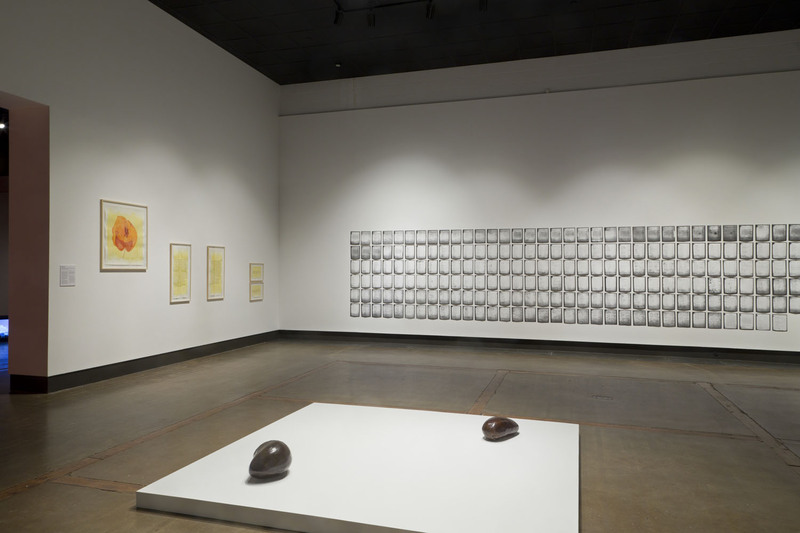 Their works reveal the biases of dominant ideologies enshrined in documents such as contracts, petitions, laws and treaties, and shed light on the nuances of specific moments in history. 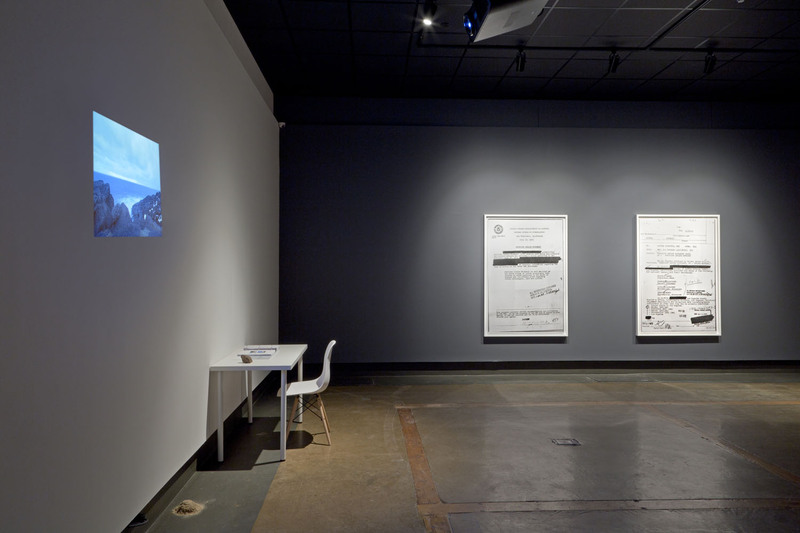 Carry Forward was inspired by thinking about the way artist Mike MacDonald’s video art informed and was informed by his practice as a documentarian. 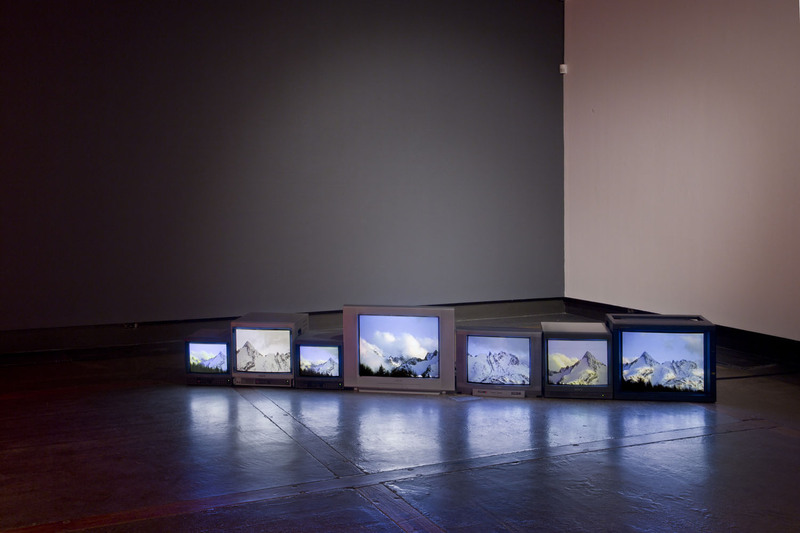 MacDonald’s documentary films reveal the disputes between the state, industry and Indigenous people arising from resource extraction and the poisoning of land and waterways, while his television set video installations expand this narrative to include imagery of standing and clear-cut forests, mountains, medicine plants, and animals along with scenes of community gatherings. Contested land-use is rooted in permits and written agreements, yet also resonates through oral histories, memories, and reflections carried through generations. 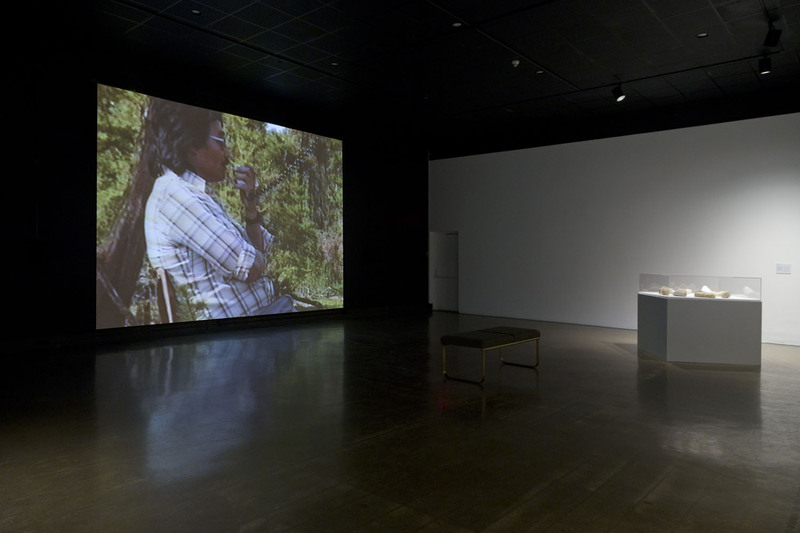 The complex history of documentary media entangles power relations between authenticity and fiction; the colonial gaze and the other; propaganda and ideology, revealing not only the subject, but its unacknowledged context. Drawings, paintings and moving images are also a means to claim posterity. Documenting is a method for making, and document is the resulting material. Artists contend with, and take-up both in their work. 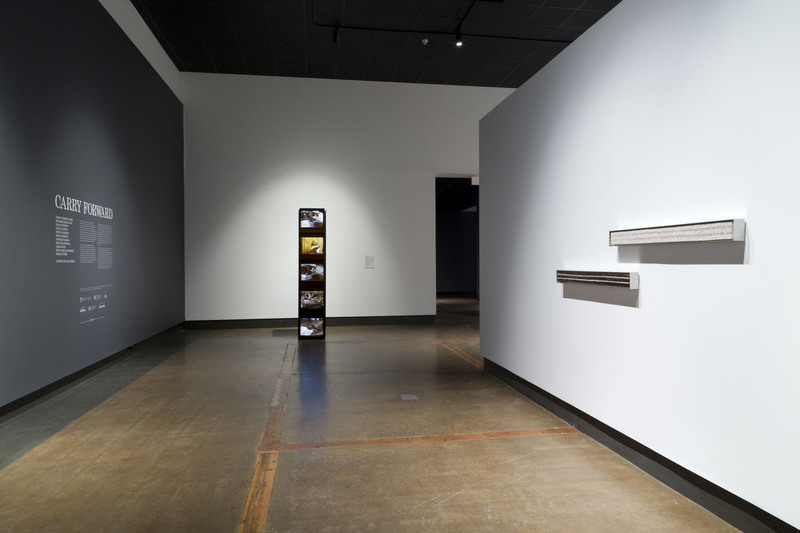 This exhibition invites us to consider the value of dissonance and the significant stakes of deciding what and how we carry forward. 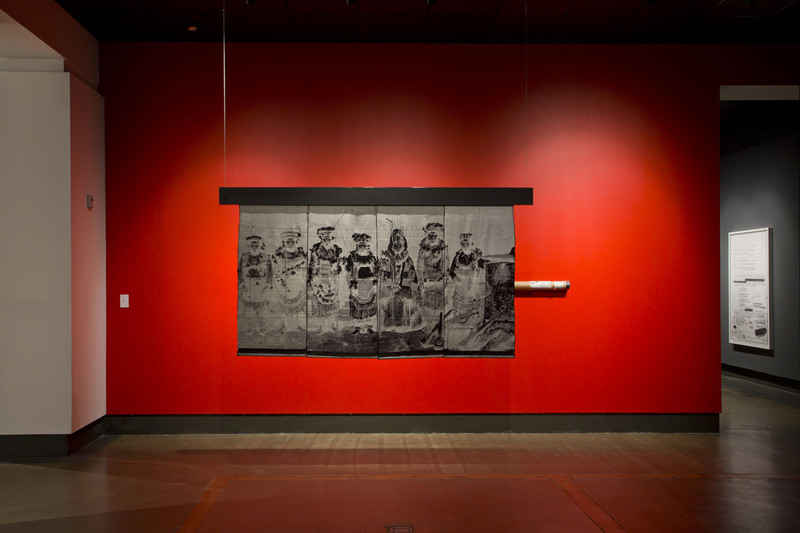 Nancy N. Chen, "Speaking Nearby: A Conversation with Trinh T. Minh-ha," Visual Anthropology Review 8, no. 1 (1992), 87. Maika’i Tubbs, Written in Stone (detail), 2016. Found books, dimensions variable. Courtesy of the artist. © Maika’i Tubbs. This project is generously supported by the Ontario Arts Council’s Aboriginal Curatorial Projects grant, The Kitchener and Waterloo Community Foundation – The Musagetes Fund, and the Allan MacKay Curatorial Endowment Fund, established by the Musagetes Arts and Culture Fund, held at The Kitchener and Waterloo Community Foundation. 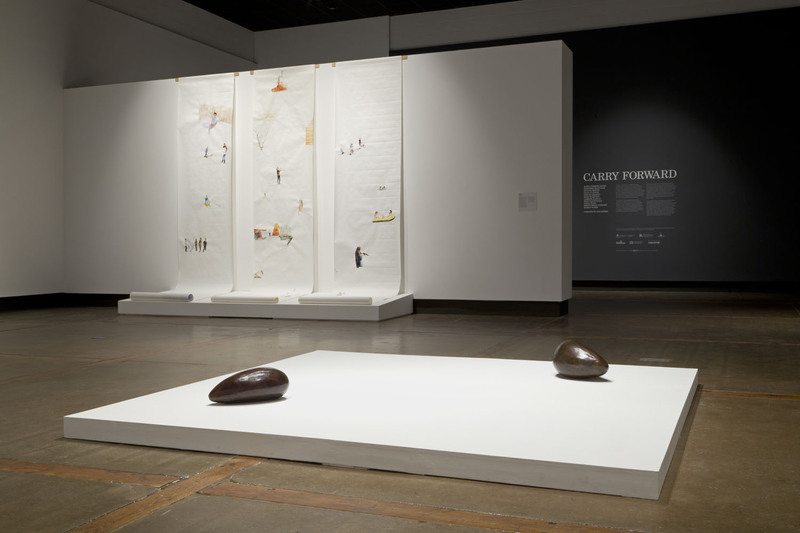 Learn more about our fall exhibition Carry Forward from guest curator Lisa Myers. Opening Reception to follow. A series of documentary films curated by Lisa Myers to complement our current fall exhibition, Carry Forward. A conversation about carrying forward moderated by Lisa Myers. Featuring Marjorie Beaucage and Jamelie Hassan.